Robert Pires and William Gallas have backed their former club and country team-mate Thierry Henry to be a managerial success. 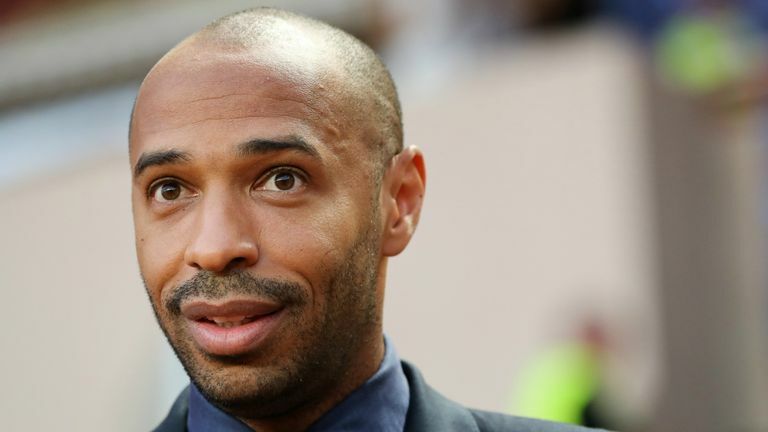 Henry was named boss of Monaco on Saturday as a replacement for the departing Leonardo Jardim, in what is the Frenchman's first foray into club football management. The former striker left his post as assistant to Roberto Martinez with the Belgium national team in order to take over at the club where he began his illustrious career, and is now tasked with improving Monaco's current position of 18th in Ligue 1. "When he was a player, he knew every player in Ligue 1, Ligue 2 and the national levels so he's somebody who really is interested in football whether it be in France, Europe or the rest of the World. He just needed the right opportunity to coach," said Gallas. "Before Monaco he had other options. Aston Villa offered him the position, he didn't want it. Same thing for Bordeaux, he didn't want it either. He knew why. "I think Monaco gave him assurances on some points that must have been very important to him. And moreover, Monaco, that's where he started his career. So it is destiny that he is to come back to Monaco as a coach, and I'm very happy for him." Pires echoes the sentiments about Henry, and feels his wealth of experience picked up under elite managers will serve him well. "With Thierry Henry you need to be passionate, passion is a really important thing for him. "He learned a lot of things from Roberto Martinez, when he used to play with Arsenal with [Arsene] Wenger or Barcelona with Pep Guardiola he learned a lot of things. "I think he can make a success because Titi loves football, he knows everything about football, about the teams and the players, I'm very confident for Titi."